The myths, the misconceptions, and the facts about healthy grilling with wood pellets and pellet smokers. If you believe the buzz, pellet grills are the next best thing since sliced bread in the outdoor cooking world. You may have heard people touting the notable advantages of using wood pellets over propane and charcoal or that they’re the cure for all your grilling and smoking cancer related fears. Sound too good to be true? Well, partially it is. The technology behind wood pellet grills is nothing new, but the grills themselves are making a significant splash on the market. But many people are asking, are pellet grills healthy as a grilling option? The short answer is yes, food grade wood pellets are no riskier than other cooking fuels. Wouldn’t It Be Awesome If A Char-Crusted Steak And Slow Smoked Brisket Were “Health Foods”? Served with a fat dollop of steak butter or smothered in a thick tangy barbeque sauce? “I seared this steak and slow smoked this brisket for my health,” you could loudly declare while wiping sauce from your chin. Sadly, this is not the case, as we all know. While it is true that some fuel options are safer than others, are wood pellet grills the safest of them all? 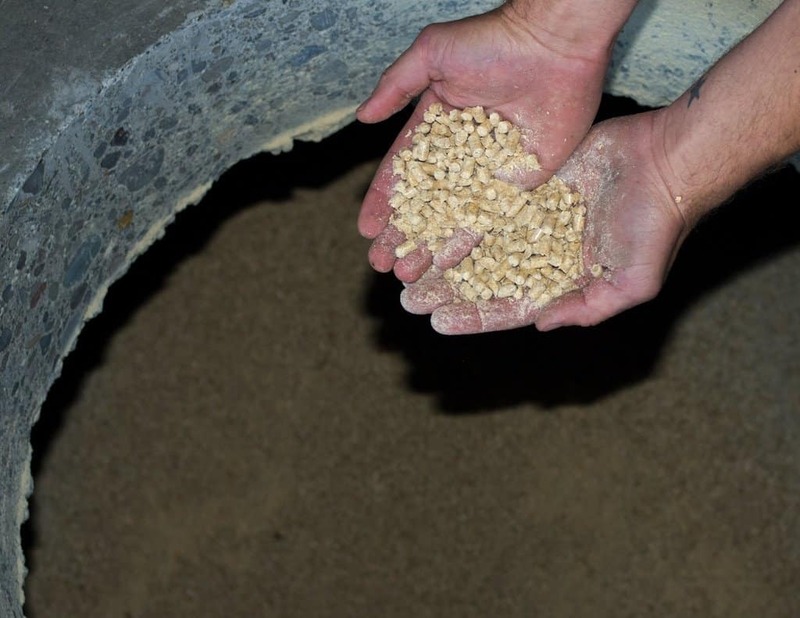 What are food grade wood pellets? Are wood pellet grills healthy or are they a cancer risk? How exactly do grilling and smoking cause cancer? Are wood pellet grills healthy for the planet? Is a wood pellet grill right for me? You don’t need to know every detail. Check out my advice about keeping it tasty and healthy. I dive a little deeper in every section throughout. At first glance, pellet-burning models seem like the answer to those countless, worrisome articles and studies that warn you against grilling or smoking your foods lest you get cancer. Let me preface this by saying that smoke damage and carcinogens are genuinely dangerous, and even the most avid grill master understands that cooking foods at high heat in a manner that openly burns fuel and produces smoke all comes with a degree of risk. And there are risks. But to put it into perspective, it’s also risky to use the microwave or deep fry foods, but most of us have gobbled down a burning hot pocket or a pile of onion rings. So, are wood pellet grills healthy? Let’s break it down piece by piece. Before asking if wood pellet grills are healthy, it first pays to look into pellets themselves. Why do they burn so well? Because pellets are traditionally used in smokers, they’re clearly made to smoke right? Well not always. They can also be used to cook at moderate to high heat as a convection oven or at blazing hot temperatures over an open flame for a quick sear. No matter the way you use them to cook, it stands to reason that you want to know what’s wafting into the air when they do. 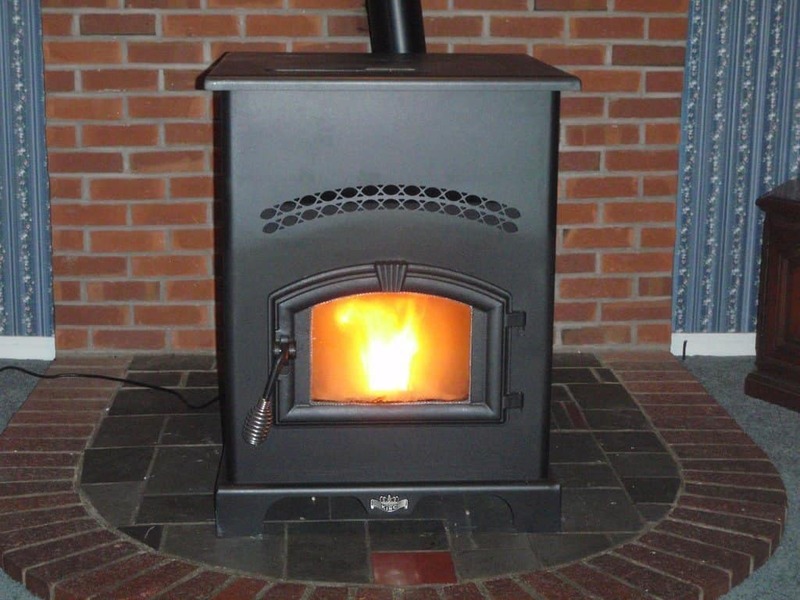 Now, there are pellet stoves that are available for indoor use. They’re solely made for heat sources. The pellets used in those stoves are not the same AND generally are not safe for cooking with or human consumption. Pellets for BBQ grills contain all natural food-grade materials, which automatically renders them safer than heating pellets. Whereas heating pellets include softwoods, compressed charcoal, and a variety of fillers that would, without question, leave your food tasting like a chemical disaster, BBQ pellets rely on natural hardwoods. 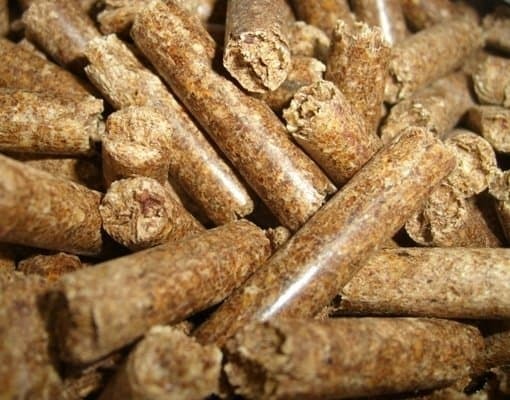 If there are any fillers present inside of a particular type of food grade pellet, you can rest assured that it’s simply filler wood from a different type of tree. For example, one of the reasons that grill and pit masters love pellet grills is due to the flavor. It’s not just the smoke; it’s the flavor of the smoke. You can find pellets from nearly any tree you can imagine. While apple and hickory are the two most common, and mesquite one of the most well-known, there are also alder, cherry, maple, oak, and pecan pellets. Part of the fun of cooking on a wood-fired grill is experimenting with flavor combinations. What Are Food Grade Wood Pellets Made Of? Basically, wood pellets are leftover wood materials. Instead of chopping down a whole tree to make pellets, wood is taken from leftover or unwanted products. Some or all of these elements are combined to make food grade pellets. All materials used are completely natural and do not contain any bonding agents that can cause a variety of health issues ranging from respiratory illnesses or even cancer. There is also the added bonus of not having destroyed the environment by extracting these materials to make them. The main thing to take away here is that again, they are food grade, which means they are a safe fuel to cook with, it’s smoke, and fumes will not affect your health or the outcome of your meal. The wood products are first put through a hammer mill, which is a machine that takes all the wood chips and sawdust and breaks them down into a consistent, small size. The raw material is next sent to a dryer that dries it to a nice consistent moister level. Next, it’s off to the Pellet Mill where the sawdust is pressed at very high pressure. The pressure causes the sawdust to heat up and bind together. The pellets come out of the Pellet Mill soft and at around 225 degrees F. They are then cooled and they harden up. For a closer look at the process, Click Here. Why Do Pellets Burn So Well And What Exactly Is A Filler? Back to the subject of fillers. You are only likely to get wood that’s 100% apple, cherry, or hickory if you’re using chunks or chips. With pellets, you’re likely to have some filler included, but it will always consist of hardwood. It’s usually oak. There are more oak trees than cherry trees, you see. However, filler wood in food-grade pellets won’t affect flavor or odor. Using a hardwood filler like oak also helps to create burn consistency, which is particularly vital in blends. Some woods burn faster than others. That affects your grilling because when you keep adding fuel that burns quickly, you end up with flare-ups and hot spots. Remember that because we’ll return to that point shortly. Back to the current topic, the presence of oak in pellets allows for a similar burn rate across the board, even if you mix different flavors or purchase a pre-made blend. Not to make it all about money, but in this case, filler material saves it. Oak trees aren’t expensive to harvest. Again, you also don’t have to burn through as many pellets with the oak providing a consistent, dense base. Are wood burning grills healthy? Do they actually cause cancer? I want to give you the answer before the explanation, so, no. On their own and operated properly, wood pellet grills do not cause cancer—or, more correctly, they’re no riskier than any other type of grill. The consensus is that moderate consumption of grilled meats, fish, poultry, and vegetables won’t hurt you. The way you grill is a critical factor, however, along with the temperature at which you cook and the quality of the food you eat. No one likes talking or even thinking about cancer, particularly if something they enjoy is linked to it. You have to familiarize yourself with those risks, though, even with grilling. There are risks between eating foods that have been grilled or smoked and the development of specific types of cancer. Pancreatic cancer is most commonly associated with grilling. It’s worth mentioning that it’s closely associated with the consumption of fried foods, as well. How Exactly Does Grilling And Smoking Cause Cancer? The first logical question we should ask is what exactly happens during the grilling or smoking process that increases the adverse effects of meat prepared in these ways has on our health. 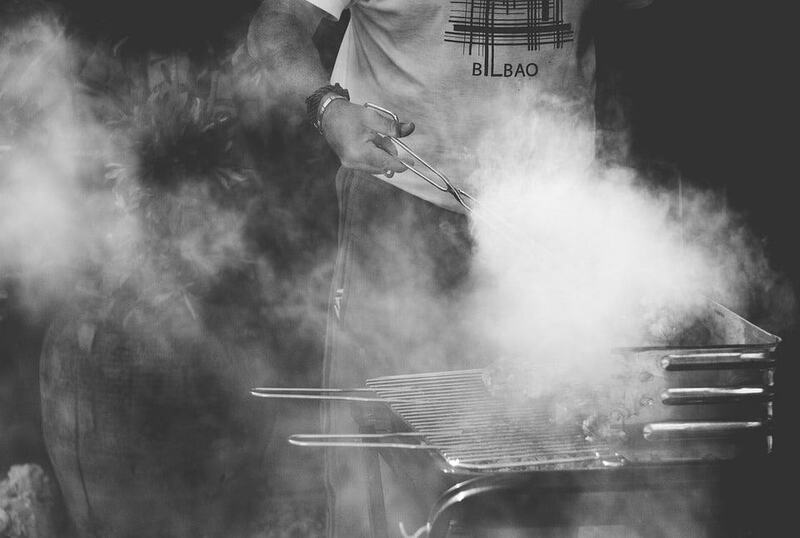 Since pellet grills are convenient and versatile in that they act as smokers as well, a distinction needs to be pointed out between the two processes. Cooking meat by grilling is different than doing so with smoke, and so are the potential health hazards that result from these practices. The fat in your meat is the primary cause of the cancer risks tied to grilled and smoked foods. As soon as animal fats are on the fire and the sizzle starts, the reaction results in the formation of heterocyclic amines, also known as HCAs. Full disclosure: HCAs are harmful. Upon forming, they’re released into the air and swarm your meat, permeating it as it is cooking above the fire and becoming lodged inside. Studies conducted on animals show that consuming these chemicals increases the chance of getting cancer. Here’s what you need to remember, however: there are ways to keep this to a minimum when you grill. HCAs most often occur along with flare-ups and uneven heat. Pockets of intense heat will char your meat to a crisp. That’s when grilling gets dangerous—and also distasteful, not to mention what it will do to your reputation as a grill master. Crisping the fat is one thing, but no one wants to chew on a leathery chunk of charred protein. See why the oak fillers in wood pellets are necessary? Bless those oak trees. But how are wood pellet grills healthy if the chemicals get into the air and permeate your food? Again, as long as you maintain an even heat and avoid charring, you’re safe. More to the point, modern wood pellet grills contain a convection fan system that not only disperses the air and the smoke but also ensures an evenly heated cooking area. The risk of flare-ups is rare when you take care. Smoking meats present a different type of risk, but again, it’s just a risk, not a sure thing. 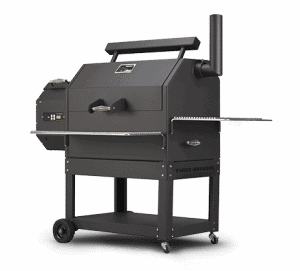 Wood pellet grills generally do double-duty as smokers, hence the focus on flavored pellets. Smoking occurs over a long period of time at low, slow temperatures, which means that HCAs aren’t a problem since charring doesn’t occur. It probably comes as no surprise, but it’s the smoke that is the concern here. The indirect heat from smoking is a healthier option because HCAs are barely a worry, if at all, but smoke from wood pellets is still smoke and is the source of harmful chemicals, the same chemicals that add the pleasant smell of different kinds of wood to the meat. The smoke forms polyaromatic hydrocarbons, otherwise known as PAHs. They are carcinogens—no false representation here. You can find PAHs in a variety of places, including many of the processed foods you enjoy, but it must be said that the concentration of PAHs has been found to be higher in home-smoked meats. It’s not nearly as fearsome as it seems, though. That means that as long as your consumption of smoked meats is somewhat moderate, you’re most likely to be fine. Enjoying a grilled burger or smoked brisket once in a while will probably not increase the likelihood of cancer developing at all. The convection system found in most wood pellet grills also helps by diffusing the smoke, as well, while still giving you enough flavor. Still asking yourself, “Are wood pellet grills healthy? Are they safe?” Yes, and yes, but there are also several ways to further decrease any risk when you BBQ on a pellet grill or smoker. For the health conscious, or for those who can’t live without regular grill use, the following tips will reduce the meat’s exposure to carcinogens while sacrificing almost nothing in terms of flavor. 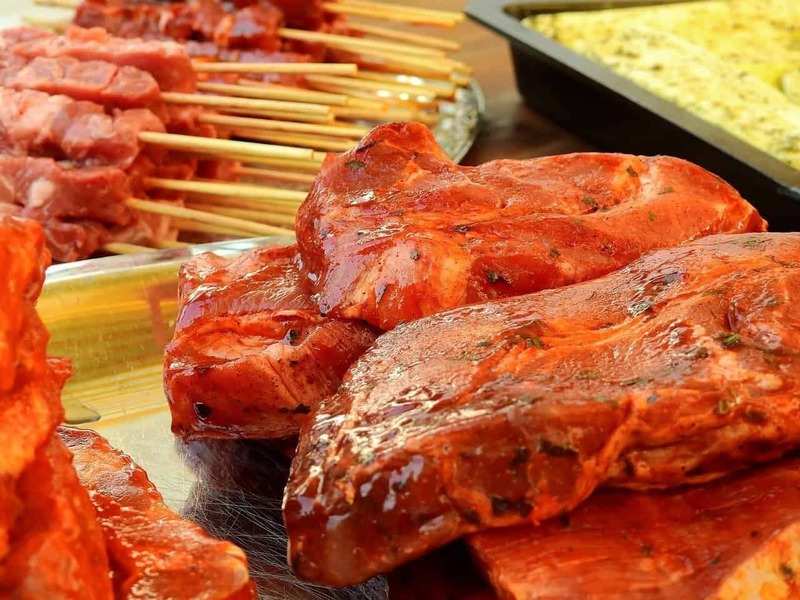 Marinating your meat before tossing it on the grill is an effortless, flavorful way to reduce the risk of ingesting HCAs or PAHs. The marinade acts as a protective barrier around the meat, barring those dangerous chemicals from penetrating your food. Obviously, the taste factor is another bonus. Using a marinade will also help tenderize your proteins. 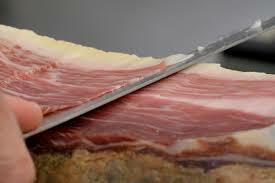 Before barbecuing or smoking your meat, trim off nearly all the fat. That cuts down on the formation of those pesky HCAs, plus it’s healthier for you. Opting for leaner cuts of meat altogether is another option. You don’t have to give up burgers and steaks, but moderate your intake of red meat, as it’s generally fattier. Trust that, chicken, turkey, and fish are mouthwatering examples of lean meats and are a healthier alternative —if you have the skills to work the grill, of course. You don’t have to grill meat, poultry, or fish at all. 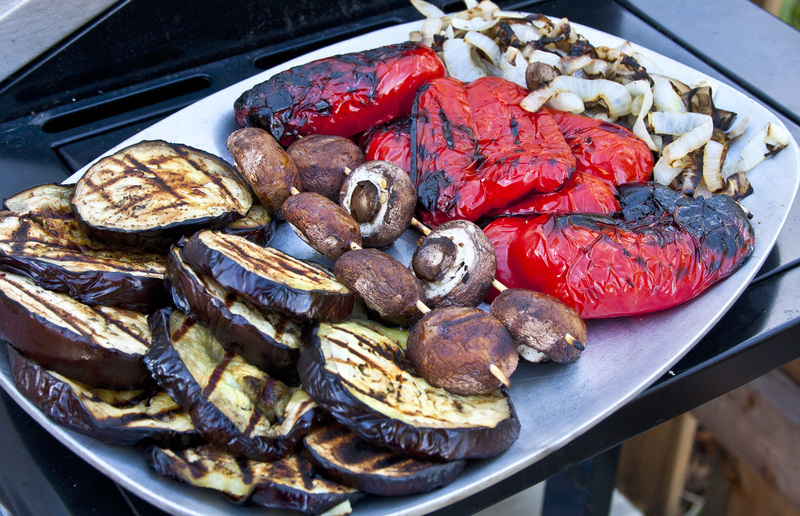 Go meatless and find out how fantastic vegetables taste when they’re prepared on a pellet grill. When properly grilled, they can easily hold the same smoky flavor, making them worth considering. It’s also important to understand how to grill without overcooking or undercooking your meat. Researchers have also proven that overcooked meat significantly raises the risk of stomach cancer so just chalk that up as one more reason to use a meat probe to monitor the doneness of your meat. What Else Can You Do To Reduce The Risks? Not to belabor the point, but grilling and smoking with care is essential, as well. Don’t purchase sub-par pellets. Read what’s in them before you buy them. Make sure they contain all natural ingredients and no bonding agents. 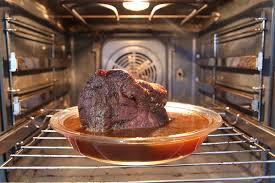 You can also do much to mitigate the risks by taking a more active and conscious role in cooking your meat. Don’t hike the temperature to ridiculous levels and avoid charring and sticking, but don’t grill at a temperature so low that the food remains on the BBQ forever. Your goal is to reduce the amount of time your food is over the fire without charring it. Anytime you grill more than one protein, plan it out beforehand, as fish cooks faster than beef. The half and half approach is also helpful, as well. One method involves cooking your meat in the microwave until it’s halfway done, then finishing it on the grill. Alternately, you can give your meat a quick sear—a sear, not a char—on the grill, then place it in your oven to finish it off. Searing is smart, anyway. Not only does it lock in the meat’s natural juices, but it also closes the pores before the food ever comes in contact with the wood smoke. Lastly, if you are one of the folks that think never cleaning your grates adds “Extra Flavor” to your current cook, (seriously, these people are out there among you, I’m looking at you dad) then think again. Make sure that the grill you are using is always clean before meat is placed on the grate. Leftover soot and burnt fat can have carcinogenic chemicals in them remaining from last time, so get rid of them. Clean your grill grates before each use. You now know the potential risks of eating food cooked on a wood pellet grill, as well as how to mitigate them. How does wood smoke affect the planet? Well, wood pellets are a greener option than charcoal. They burn more evenly and produce a much cleaner smoke than charcoal does. Smoke is always an issue, and it does pollute the air. Moderation is once more the key. You can grill out once or twice a week without leaving a massive carbon footprint. Perhaps most importantly, pellet grills burn more efficiently. 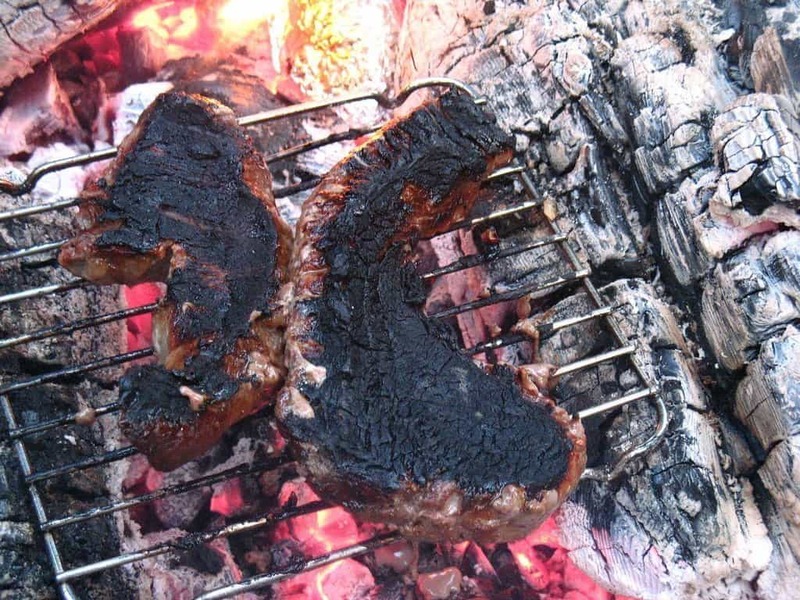 Charcoal is just kind of a mess—it can be delicious, but it can be a pain. Gas is cleaner burning, but it’s also gas, and it’s sometimes a hassle unless it’s a stationary grill. Are wood pellet grills healthy? It’s impossible to ignore the evidence that suggests the consumption of grilled and smoked food can have something to do with the formation and development of a number of cancers, but there simply isn’t overwhelming and conclusive proof yet that this is the case. After all, hominids have been preparing their food over open wood fires longer than humans have existed as a species, and we still seem to be doing pretty well for ourselves. Grilling is like almost everything else: if you do it safely and with skill, then you’ll be fine. On the other hand, asking questions like are pellet grills healthy is a good way to reexamine our habits and adopt more health-conscious lifestyles. As was mentioned above, this doesn’t have to result in cutting out smoked and grilled foods altogether, but taking a more responsible approach to grilling can only be good in the long run, both for your health and as a means of increasing your repertoire of dishes you might not have considered grilling before. Go for the smoke, but watch out for the fat and get the proteins off of that sparkling clean grill grate as quickly as possible. Unless of course, you are slow smoking a mouthwatering brisket. Then all bets are off! Let me leave you with a wonderful quote from Meathead Goldwyn, owner of one of my favorite grilling sites Amazing Ribs. For more on the science of cancer risks caused by grilling, check out Amazing Ribs highly informative article here. You won’t regret it. Do you have some excellent knowledge to add? Leave it in the comments below! We always welcome your input and I would love to hear about your experiences. 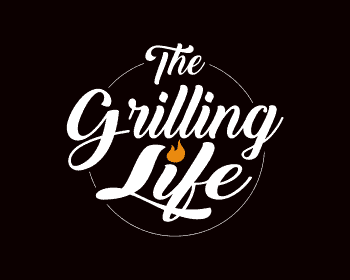 At The Grilling Life, I am committed to researching and writing thoughtful, informative and editorially independent articles and reviews of the best products for your outdoor cooking needs. If you like what I do, you can support me through my chosen links, which earn me a commission. This allows me to continue sharing with you my love for all things barbecue. Your support is truly appreciated. Hi Tom. They are certainly worth checking out. I love my Traeger TFB29LZA Junior Elite Grill so far and am hoping to upgrade to a larger model soon. If you have any questions, let me know and I will be more than happy to help out. I appreciate the advice in your post of marinating the meat before grilling because aside from enhancing the flavor, marinades form a protective barrier around the meat so harmful chemicals can’t penetrate. My husband and I love grilling, and this is a helpful tip. We’re looking for a good grill that doesn’t over-smoke food and can give a more subtle smoke flavor. I think that pellet grills are a better option than wood or charcoal grills. Thanks for the tips! Why won’t you let us forward this artical to someone? I’m not sure what you mean by forwarding the article? You can share the article URL with anyone by copying and pasting it where you would like to share. If I am mistaken by your meaning, please let me know so I can help you.